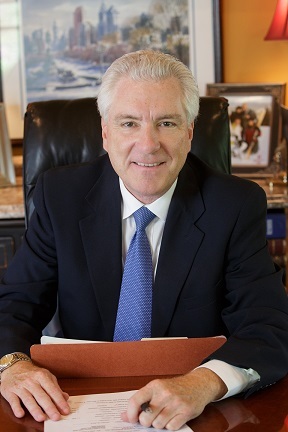 Top Rated Philadelphia Bus Accident Lawyer Gets Results. Were you injured on a SEPTA bus, trolly, or train? Are you looking for the best Philadelphia SEPTA accident lawyers to handle your personal injury claim? If you have been injured in a SEPTA accident, your claim will be against SEPTA, a government agency. Therefore, the best Philadelphia SEPTA Accident Attorneys to handle your claim should be a Philadelphia bus accident lawyer that understand the unique requirements in filing a claim or lawsuit against a federal agency such as SEPTA. An Philadelphia Bus Accident Attorney Experienced in Claims Against a Federal Agency is Critical to the Success of Your SEPTA Accident Case. Choosing a Philadelphia Bus Accident Attorney who is experienced in filing claims and/or lawsuits against a federal agency is critical to the success of your SEPTA injury claim. Fox Law has an excellent success rate of recovery for our clients in their claims against SEPTA. Our Philadelphia SEPTA accident lawyers understand the unique requirements involved in your SEPTA Accident claim. 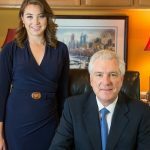 Named to the Expertise list of top 20 personal injury law firms in Philadelphia, Fox Law stands out among its' peers. Expertise is a consumer driven company that makes it easy to find the best local experts, providing a list of qualified, well-reviewed professionals with a selection criteria based on reputation, credibility, experience, availability and professionalism. A business can’t pay to be included on the Expertise hand-picked list of best Philadelphia Personal Injury Law Firms. Fox Law has also been rated AV Preeminent by Martindale-Hubbell, the gold standard of legal peer review ratings for over 30 years. Less than ten percent of all attorneys attain this top rating. We are Philadelphia natives. We have lived and worked in Philadelphia for over 30 years. Born and raised in Philadelphia, we understand the Philadelphia transportation system, including the Philadelphia SEPTA system. 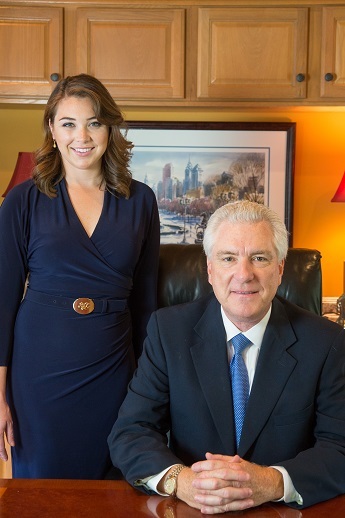 We are proud of our roots, ratings, and our results in our handling of SEPTA accident claims. Thank you for representing me in my lawsuit against SEPTA. Because of your dedication and knowledge, the lawsuit was in my favor. I’m grateful. I have recovered from my injuries from the accident and am doing great. I can now continue to live my normal way of life. I’m happy. Beyond the legal advice, about the accident and my physical injuries, I truly thank the both of you for taking the time to listen and advising me at times when I was having problems due to the accident. Thanks that meant so much. Thank you once again for your legal advice, time, and efforts. I will not hesitate to recommend your family law business to anyone in need of your legal assistance. Long-distance buses are regulated by the same federal agency that handles commercial trucking, and are subject to strict regulations. Local public transit buses such as SEPTA and school buses are usually operated by a government agency and required to follow the same laws. When transportation agencies such as Amtrak or SEPTA break these laws and cause a serious bus, trolley, or train accident, passengers can sue for their negligence. Suing a Pennsylvania state or local agency is more complicated than suing a private business. SEPTA has additional requirements when filing a claim. It is important that Philadelphia SEPTA Accident Lawyers are familiar with the unique requirements when filing a SEPTA bus, trolley, or train accident claim. For example, it is important that SEPTA be put on notice of your claim within 180 days (6 months) of the accident. The Pennsylvania statute of limitations is 2 years, as in any other lawsuit, but when you sue SEPTA, just as is any case where you are suing the City of Philadelphia, you must put SEPTA on notice of your claim within 6 months of your injury, or your claim could be precluded. SEPTA has their own law department that strongly defends personal injury claims made against SEPTA. The attorneys in the department are very experienced and go to great lengths to challenge your claim. In other words, SEPTA will not settle their cases without doing their due diligence. Over the years, due to numerous fraudulent claims, SEPTA installed cameras in all of their busses and trains and trolleys. Installation of the cameras both helps and hurts SEPTA. The cameras can prove that an accident was minor and therefore, injury should be minimal, or it can prove that someone was really injured from an accident. If you are injured on a SEPTA bus, trolley or train, and you do not own your own vehicle, you can be eligible for PIP benefits (Personal Injury Protection Medical Benefits) through Septa for up to $5,000. $1.8 Million Dollar Federal Court Verdict for woman injured by a government vehicle which necessitated brachial plexis surgery. The government’s final offer before commencement of trial was $95,000. SEPTA busses, trains, and trolleys are a common form of public transportation in Philadelphia. The Southeast Pennsylvania Transportation Authority (SEPTA) operates hundreds of buses, trolleys, and trains daily. In addition to these, there are chartered buses, and thousands of children ride on school buses each day. Statistics show travel by public transportation is very safe in Philadelphia. But when a bus, trolley or train accident does occur, the result is often very serious injury. Bus accidents may also be more severe than car accidents because buses are not often equipped with seat belts. Fox Law Philadelphia SEPTA Accident Lawyers Welcome You to Contact Us. No case is too big or too small for an evaluation. Fox Law welcomes the opportunity to represent you. Call us today for a prompt and free consultation regarding your SEPTA injury claim. During your consultation, your case will be discussed and the facts will be reviewed and evaluated. If Fox Law accepts your case, it will be handled on a contingency basis, which means you pay nothing out-of-pocket. We carry all of the costs and assume all of the risks when we accept your personal injury claim. When we win, we are paid with a percentage of the settlement award. Therefore, it is in both of our best interest for your case to have the best outcome possible. Click here to learn more about the benefits of a contingency fee. Our SEPTA Accident Attorneys are available to meet with you by appointment at one of our consultation offices. Or, for your convenience, we make house calls when necessary. Our consultation office is conveniently located at Two Logan Square in Center City Philadelphia. We are available at this office by appointment. It is accessible by walking, bus, train or driving. A parking garage is attached to the building. Prefer to meet our Personal Injury Lawyers in Northeast Philadelphia? Meet our SEPTA Accident Lawyers in Northeast Philadelphia by appointment at our conveniently located Jenkintown office.